Everest base camp. The ice cap of Greenland. Deep-sea diving destinations. With the growing popularity of adventure tourism and extreme sports comes the need for doctors trained in caring for patients under austere conditions with limited resources. So where do you sign up? Emergency physician Alison Sheets, MD, knew how treacherous climbing the sheer rock walls in Eldorado Canyon, near Boulder, Colorado, could be. An experienced technical climber and guide, she had climbed most of them herself. So when a message came in on her pager late on a sunny afternoon in October 2014 — “climber with head injuries” — Sheets, who is the medical director for the Rocky Mountain Rescue Group, grabbed her rescue gear and rushed out. After hiking the steep, rugged 30-minute approach — and joined along the way by other rescuers responding to the call — she spotted the injured climber on the rock face. He’d fallen 60 feet, stopped by a small juniper tree growing out of the rock about 30 feet from the ground. His legs were straddling the tree, his face against the rock, and he wasn’t moving. A fellow climber, on the wall with him, had wrapped a T-shirt around his bleeding head. Sheets climbed up to join them. The fallen climber’s head was gashed and his legs and feet had sustained serious injuries. But what alarmed her most was when he said, “I’m weak, can’t push myself up.” She asked him to squeeze her fingers. “Here was a guy who had just made a very difficult climb, and he barely had any strength in his hands,” she remembers. That suggested that he had central cord syndrome, a compression injury to the upper spinal cord that makes any movement potentially very dangerous. Daylight was fading when Sheets and her team finally got the injured climber down off the cliff face. The stretcher was carried by hand and lowered by ropes over the rugged terrain to a waiting ambulance and then to a helicopter that brought him to the Level 1 trauma center at St. Anthony’s Hospital and Medical Campus in Lakewood, Colorado. There, with access to advanced equipment, trauma doctors ultimately confirmed Sheets’ seat-of-the-pants diagnosis. After a week in intensive care and multiple surgeries for broken bones in his legs and feet, the climber began a slow path to recovery. And while he still has some sensory loss from the injury several years later, he is walking and back at the gym — thanks to Sheets’ quick thinking while she and her patient were on a sheer rock face, 30 feet off the ground. The call of the wild has always drawn people to explore the most remote and physically challenging areas on the planet. With the growing popularity of adventure tourism and extreme sports, the lure of the wilderness is as powerful as ever, and as potentially risky. Far from medical care, a fall from a rock, a spill into an icy river, heat stroke on a desert trek, or the bite of a venomous snake can quickly prove fatal. 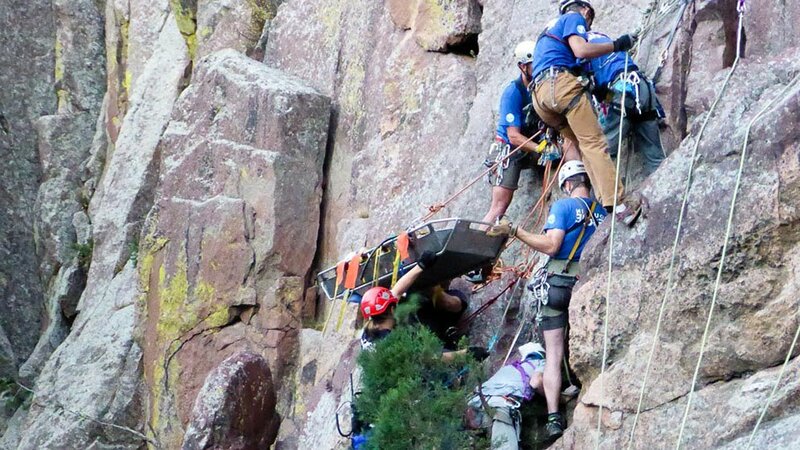 In Colorado’s Boulder County alone, according to an analysis by Sheets and her colleagues, 2,198 mountain and wilderness rescues occurred between 1998 and 2011. In a more sweeping analysis of search and rescues at national parks between 1992 to 2007, researchers tallied 78,488 individuals involved in 65,439 search and rescue incidents. Although 2,659 of the victims died, 13,212 lives were saved. To make sure adventurers in the most remote and austere environments get the best care possible under the most difficult circumstances, a growing cadre of physicians are training in a relatively new subspecialty called wilderness medicine. “Wilderness medicine really began as mountain medicine — the earliest efforts to understand and treat conditions related to high altitudes. Today it draws from multiple disciplines, including emergency medicine, environmental medicine, travel medicine, and even sports medicine,” explains Eric Alan Weiss, MD, professor emeritus of emergency medicine at Stanford University School of Medicine, who founded the country’s first formal fellowship in wilderness medicine at Stanford in 2003. At the heart of the practice of wilderness medicine is the ability to improvise in an austere environment with limited resources. Luanne Freer, MD, medical director for Everest ER, a clinic at the base camp of Mount Everest in Nepal, knows firsthand what that entails. One of the biggest risks for climbers at high altitudes is pulmonary edema, or fluid in the lungs, and severe dehydration. Under most circumstances, it’s easy to rehydrate patients with an IV solution. But in the brutal cold of the base camp, the solution can freeze in the plastic tubing before ever reaching the patient. Freer has learned to keep the solution warm by placing the bag and tube inside a bystander’s down parka, using body heat to keep it flowing. She and her team have fashioned stretchers out of rope and hiking poles and even improvised chest leads on a monitor to perform an ECG on a patient with suspicious chest pain. “That kind of adaptability and improvisation are the key to delivering medical care in the wilderness,” Freer explains. Today, 15 medical schools offer wilderness medicine fellowship programs, including Harvard Medical School, Yale School of Medicine, Emory University School of Medicine, the University of Colorado School of Medicine at Anschutz Medical Campus (CU School of Medicine), University of California, San Diego, School of Medicine (UC San Diego School of Medicine), and the University of Utah School of Medicine. Many more offer electives in aspects of wilderness medicine. The subspecialty has its own professional society, which is called the Wilderness Medical Society (WMS) and was founded in 1983, and continues to serve as a hub for research, conferences, and training. WMS sponsors accredited continuing medical education (CME) conferences, publishes a peer-reviewed medical journal, and fosters student interest groups on 71 medical school campuses. 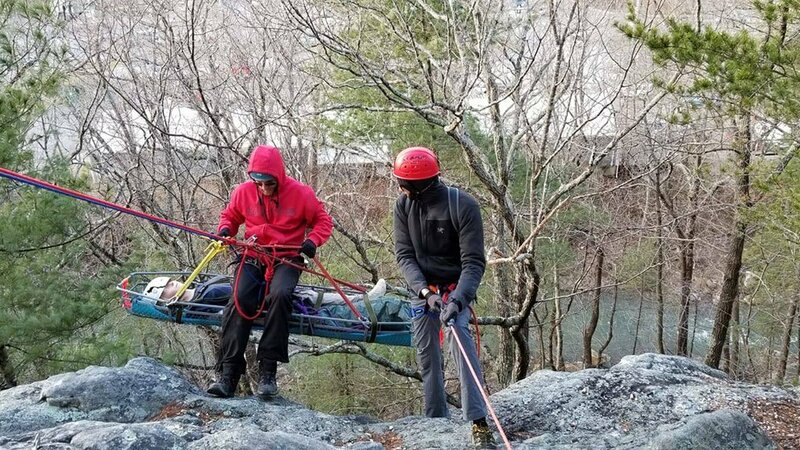 WMS also collaborates with the international group Advanced Wilderness Life Support, which offers a wide variety of wilderness medicine CME courses around the world. Wilderness medicine fellowships typically combine advanced clinical training in environmental emergencies such as frostbite, high altitude sickness, and hyper- or hypothermia, along with training in how to stabilize and evacuate sick or injured patients, and how to improvise under extremely austere situations and severe time constraints. 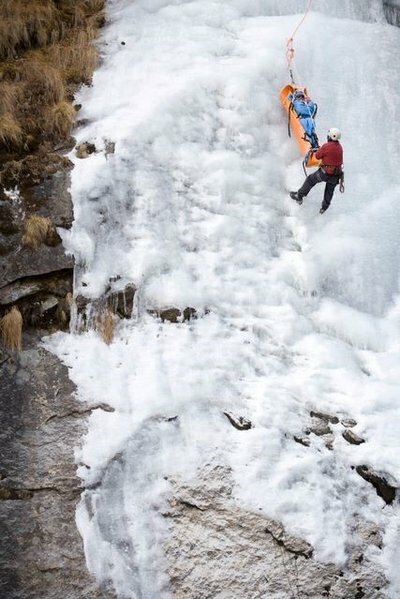 Depending on the institution, participants may learn swift water rescue techniques, technical mountain climbing techniques using ropes and pulleys, or avalanche rescue techniques, among other skills. Most fellowship programs also offer opportunities to train and work in remote or wild areas. Fellows at the CU School of Medicine can do a stint at the National Science Foundation research center on the ice cap of Greenland, for example. The wilderness medicine program at the UC San Diego School of Medicine offers a curriculum that includes training in undersea diving and hyperbaric medicine and opportunities to work with Divers Alert Network, Flying Samaritans in Baja, Mexico, or a remote clinic in the Amazon basin. At Yale School of Medicine’s wilderness medicine program, fellows have an opportunity to learn crevasse rescue techniques in the Alps or on Mount Baker in the state of Washington. Several programs give participants a chance to work at the Everest base camp. Wilderness medicine fellows are also encouraged to conduct original research in the field. “This is a young subspecialty, and there’s a push to expand the knowledge base with rigorously designed studies and to gain greater recognition in the larger field of medicine,” explains David Della-Giustina, MD, who directs Yale’s wilderness medicine fellowship. New insights from research have already led to refinements in managing high altitude sickness, hypothermia, and decompression syndrome, a hazard of deep sea diving, for example. The WMS has played a leading role in developing guidelines — such as how to prevent and manage avalanche incidents — that have helped establish standards of care in the field. Although there are a handful of full-time positions in wilderness medicine, most practitioners hold down traditional jobs, often in emergency medicine, and do wilderness medicine on the side, usually on a volunteer basis. “The people who come to wilderness medicine begin with a deep love of the outdoors,” says Stephanie Lareau, MD, who directs the wilderness medicine fellowship program at Virginia Tech Carilion School of Medicine and serves as an emergency physician at the Carilion Clinic. “Studying wilderness medicine is a way to combine their love of wilderness activities with their work in medicine.” Lareau volunteers with the Appalachian Trail Conservancy, teaching wilderness skills to hikers, for example. The members of the Rocky Mountain Rescue Group, including its medical director, Alison Sheets, volunteer their time to keep climbers, skiers, and hikers safe. Jennifer Dow, MD, an emergency physician at Alaska Regional Hospital in Anchorage, Alaska, serves as National Park Service Medical Director for the Alaska region, overseeing 23 parks, monuments, and rivers — a volunteer position she does “because I grew up going to national parks, and it’s important to me,” she explains. Part of her work involves establishing medical protocols and training park rangers in the basics of emergency care. But she’s also available 24/7 to consult with rangers via cell phone or satellite hook-up when there’s an illness or injury in a remote area. “We see frostbite, altitude-related illnesses, major fall injuries, drownings, heart attacks, almost anything you can imagine,” she says. During the peak summer season, she may field as many as a dozen emergency calls from rangers a week.